1 and a 1/2 bottles (750ml) of red wine..any sort. marinate the lamb over night and BBQ it the next day. Lamb is a bit like beef so sear the meat and cook quickly. Slow cooking will dry up the meat. It is nice medium rare. 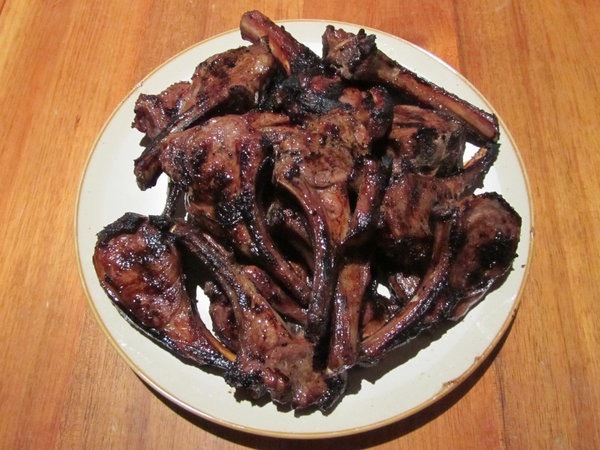 Lamb cutlets are more juicier and tender than the other cuts of lamb. One of the best cuts. The smell/taste is not as strong either, very mild. NB. 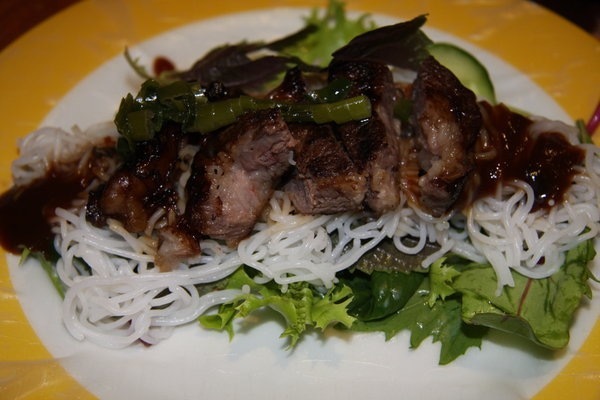 Left overs are great in rice paper rolls with Hoi Sin dipping sauce.